>WHAT ARE THE BIGGEST HURDLES FOR AUSTRALIA’S NON-MAJORS AT THE MOMENT? I don’t think the banks have properly educated the Australian public. Consumers don’t understand what funding costs are, which causes big problems for us. I agree, and I think there are a lot of brokers out there that don’t understand how funding costs work. You still have brokers that talk about passing on or not passing on the Reserve Bank’s rate movements. We have an obligation to educate brokers. We need to do more work on this front. That’s right. People will say to me I can’t believe the banks lifted their mortgage rates out of cycle with the Reserve Bank and I say, have you seen the term deposit rates at the moment? Term deposits are six per cent and we are trying to lend at 6.5 per cent. Margins are tight at the moment and the sooner both brokers and borrowers understand this, the better we will all be. WITH THE CURRENT SITUATION IN EUROPE WHAT ARE YOUR PREDICTIONS FOR THE COSTS OF FUNDING? We are in a fortunate position where we only need to borrow 30 per cent from the funding markets. If the GFC was to hit tomorrow then we would be well positioned. I think the economy will soon recover enough that people feel safe pulling their money out of the offset accounts and putting it into something else. That’s right. The interesting point will be whether people put their money into stocks or into property. TO WHAT EXTENT WILL THE BANKS BREAKING RANKS WITH THE RBA AFFECT HOME OWNERS? It is probably not going to have too much of an impact on home owners. At the end of the day, ANZ moved only six basis points. What it will do, however, is enhance the broker proposition. It is interesting – we have a bizarre focus on the RBA. What the banks do with their rates is the most important issue facing the nation during any given month. It is not credit cards or the cost of living. Somehow, what the RBA does with interest rates has become the race that stops a nation. When the RBA moves the cash rate, we get a lot of phone calls from borrowers asking us what we intend to do. People are a lot more attuned to the cash rate now. MANY AGGREGATORS ARE PUSHING THEIR WHITE LABEL OFFERINGS QUITE HARD AND MANY OF THEM ARE ENJOYING SUCCESS IN THIS AREA. BUT WHERE IS THE MARKET SHARE COMING FROM? White labelling is stealing share from Australia’s non-majors and non-banks. It is definitely not stripping anything away from the majors. Some aggregators are selling 10 per cent of their volumes heading in the direction of white labelling. White label was created to combat the dominance of the majors and inject competition into the market. Ironically, a number of the white label products are funded by the majors, so these white label products are actually adding to the majors’ market share. SO, WHAT CAN YOU DO TO STOP THIS? We have to differentiate ourselves from the majors by way of service and relationships because we are, in most instances, unable to compete on price. I agree. 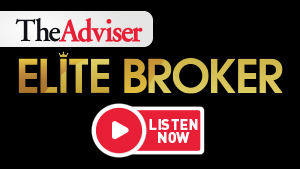 There are a lot of brokers and borrowers out there that are looking for an alternative to the majors; we have to give them a reason as to why they should use us. That’s right. Think about Bank of Melbourne: their research told them that borrowers and brokers alike wanted to deal with a regional bank, which is why Bank of Melbourne was created. Now, if that research is to be believed, then there is a real opportunity for all the non-major lenders. Data shows us PLAN, CHOICE and FAST are all doing very well, which suggests brokers are happy to use an alternative to the majors. Better yet, these lenders don’t have the same branding abilities as us. If we continue to do what we have always done – that is, provide solutions that other lenders do not provide – there will always be a space for us. Just because we have struggled over the past few years, doesn’t mean we will continue to struggle moving forward. It has been a really unique and difficult time for us. The majors have been supported in every way and we haven’t received that same support. We also have just emerged from a time when brokers were scared to offer anything other than the majors because borrowers were scared to use anything other than a major. During the depths of the GFC, it became easier for brokers to sell major products. They could spend 20 minutes with a client explaining why Macquarie or Bankwest might be the best lender for them, or they could avoid the hassle and just offer one of the big four. I don’t think this will always happen, as long as we continue to provide exceptional service to our broker partners and their clients. At the end of the day, consistency and persistence will win out. I agree. The majors can easily beat us on price, so we need to beat them in other areas including service and support. One of the problems I have with Australia’s non-majors is that we always require different documents. Why does our paperwork have to be different? Why can’t we have a standardised loan application form for all of Australia’s non-majors? If we make it too difficult to do business with us, then no one will want to do business with us. I agree 100 per cent. At the end of the day, it is just a mortgage. We make it sound very difficult, but it shouldn’t be. The reality is we all have slightly different paperwork requirements, which creates errors, and then we throw our hands in the air and say, why can’t brokers get it right?! Each lender requires its brokers to send through slightly different documents. Because we don’t have the regular supporters that the major banks have it has got to a point where some brokers would have to sit down and read a manual on how to submit a loan to us. If they think submitting a loan is going to be too difficult or time consuming, they will often opt to [place] the business with a lender that they know and a lender whose documentation requirements they are well versed in. DOCUMENTATION IS ONE THING, WHAT ABOUT TURNAROUND TIMES? HOW QUICKLY DO BROKERS EXPECT LOANS TO BE APPROVED? I think it is fair to say most brokers would be happy if we gave them conditional approval within 24 hours. Ultimately, all of them want us to be able to go to settlement within seven minutes, but that is just not going to happen. If you are transparent with them and make it very clear how much time it will take to turn a deal around, brokers will be happy. For a borrower, the difference between one and three days is not dramatic, but if I am told it will take two days and it blows out to five days, that’s when problems occur and borrowers begin to distrust their brokers. The brokers are so important to us, we need to make sure our service is second to none and we are completely transparent with our servicing times. Moving forward, if we want to steal market share away from the majors we need to not only provide excellent service, but we also need to educate brokers on our total value proposition and then deliver on that promise. If we encourage someone to give us a go and we deliver good quality service as well as a decent rate, they will come back to us time and time again. Across all our channels, the highest level of customer satisfaction is through the broker channel. Borrowers like using brokers. We recognise this, which is why all non-majors are such strong supporters of the third party distribution channel. We support the channel that supports us. I agree. Yet that said, it is interesting to note that brokers still send the vast majority of their business to the majors. Eighty per cent of all their business goes to the big four. If you asked a broker what the most important thing a lender can offer them is, they would inevitably say good service. And, if we break it down, the non-majors both independently and collectively provide better service than the big four. Yet our volumes don’t support this theory. Price is the primary driver of business and the quickest lever you can pull. It is just that brokers don’t like to admit that. SWITCHING HOME LOAN PROVIDERS IS SAID TO BE EASIER THANKS TO THE REMOVAL OF DEFS. HAS THIS MOVE BENEFITED YOUR BUSINESS? I haven’t seen any benefits, though I think it might be a little too early in the piece to tell. At the end of the day, I don’t think we will see any benefits from the removal of DEFs because it is still a pain and will always be a pain to refinance. In fact, the removal of DEFs was really a bit of political point scoring. The government is encouraging home owners to walk out of their bank and go down the road for a rate that might be 10 basis points cheaper. But what consumers don’t understand is that refinancing is not worth the hassle. You are going to have to do a lot of work for limited reward. The government is misleading the public, which is really frustrating for us and for all lenders. I agree. That said, it has been good for brokers because it has given them a reason to call their clients. Similarly, it has forced more Australians to seek out the professional advice and guidance of a mortgage broker. That might be the case, but the DEF ban has also created a lot of confusion amongst borrowers. Many think it applies to all loans, they don’t realise that there are still break costs associated with fixed rates. Agreed. Most Australians don’t realise that there are break costs associated with fixed rates. All they see is a good rate, and there are plenty of good fixed rate products on the market at the moment.